Small and medium businesses have been taking their reach to a new level as they tap the virtual market thru Ecommerce. The online competition made the race much more possible for companies that offer the same services that giant firms dominate over the typical market of a specific industry. Thus, knowing how to define cloud computing adds to the possibilities of better marketing for small and medium business. Before we define cloud computing, let’s try to understand how the cloud works in the first place. In order to define cloud computing, we need to define the cloud first. Cloud is an image that was previously used to represent a vast network of information linked and distributed by the Internet. It is a network of communication connected in data centers or servers placed in various locations. These remote linkages are made possible by the Internet. It supplies the services that the cloud can offer. Later on, the term cloud was used interchangeably with Internet, that is why it is now considered synonymous. With the continuous technological developments, the cloud is no longer just a network using the internet. Now, it is collectively representing a number of services for online accessibility, not only for personal use but also for Ecommerce. This is now the way we define cloud computing. Another way to define cloud computing is to understand the role of the Internet in establishing the network services that cloud computing provides. The Internet serves as the connection of multiple individual servers situation in various sites. This ability of the Internet to establish a steady connection in order to gather enough servers to cater to the needs of as many business websites as possible, became the feature that can define cloud computing differently from the other services for online accessibility. This provides the flexibility to use only the resources needed by a business website and pay the price of resources maximized. 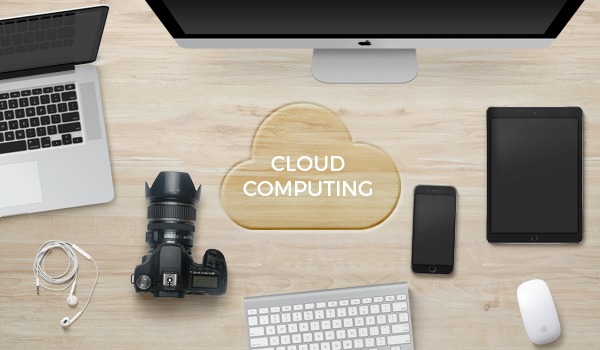 This is also the reason why cloud computing is equated with practicality and flexibility. Because of the continuous demand among small and medium businesses to take on the Ecommerce challenge and compete in the online market, knowing how to define cloud computing became a necessary background knowledge for any entrepreneur who wants a slice of the virtual space for their business. But to define cloud computing is quite easy, unlike understanding the possibilities it offers that can take some time. That is why there are experts in managing cloud computing services to ensure that you can maximize the use of the cloud. • the accessibility of customer support 24/7 via phone, chat or email can surely help you with your online business. The expertise that your support team can offer will surely make things easier for you. From monitoring to troubleshooting, customer support will be your reliable go-to feature as you begin your business venture online. Knowing how to define cloud computing can help any entrepreneur who is just starting to establish the online presence of a small or medium enterprise. It offers the flexible terms for resources and pricing that provides better choices for a tight budget. Also, this can ensure the quality of service provided, since there is a vast network that can support any need of the website. Scalable resources on demand that could be paid based on usage is the concept of “retail” for a practical online management service.